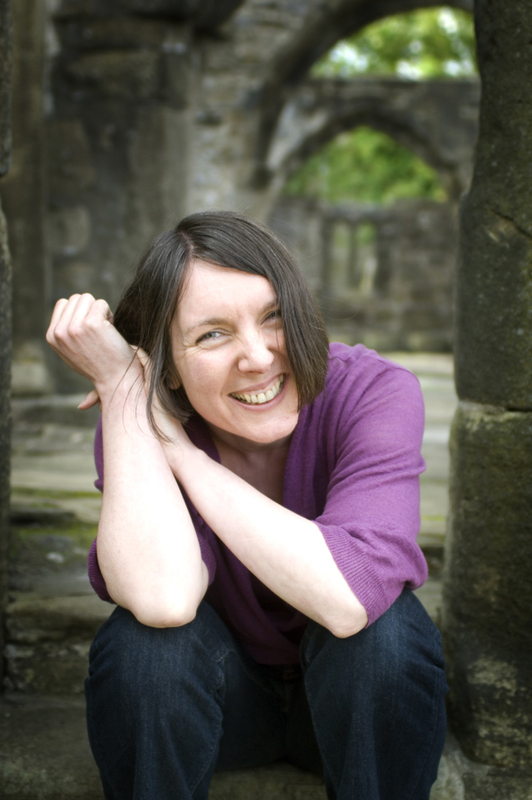 I interviewed SJ Bradley last year, just as it had been announced that she’d been shortlisted for the Willesden Herald International Short Story prize. Juggling writing with a day job, as well as being one of the indefatigable organisers of Leeds lit social ‘Fictions of Every Kind’, she always struck me as incredibly disciplined about her writing. Well, that discipline has stood her in very good stead. She has just published her first novel Brick Mother (Dead Ink Press), which is set in a secure psychiatric unit and explores the experience of both patients and employees. It’s an impressively brave debut. It does what all good fiction should do: poses questions, and doesn’t supply easy answers. Brick Mother is a great title. Say a bit about where it came from. Thanks! The term ‘Brick Mother’ was first coined by the psychotherapist Henri Rey, in the mid 20th century. He was a pioneer of psychotherapy in the old Victorian asylums – working mainly in the Maudsley hospital. He called the old hospital a ‘Brick Mother’ because he said that the walls were like the arms of a mother, keeping the patients within looked after and safe. 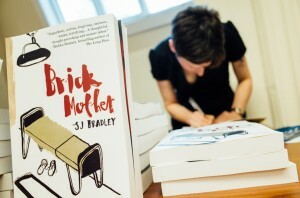 Tell us something about the genesis of Brick Mother, where it came from and how you got the idea to write it. Well I was working in a hospital, and I had lots of friends who were working in hospitals, too. Through having various conversations, I got really interested in the idea that institutions affect the way you think. About how you can be a kind, sympathetic person, but working in a psychiatric hospital can make you end up being unkind, very unfeeling. That you become deadened to things – you’re surrounded by such dysfunction, all day, that it starts to affects the way you think. You either see danger everywhere, or else you become so used to it, you become extremely tolerant to risky situations. It affects your thinking in all sorts of different ways. I was fascinated by that idea. Brick Mother is quite strident in its criticism of institutions and those within them who wield the power. In what way do you see your writing as a vehicle for political opinions and beliefs? Well, I write about what interests me. In this case, writing Brick Mother, I was trying to represent hospitals fairly accurately. The story is set in a private hospital, in a low secure ward – a place where patients are locked away, either for their own safety, or the safety of others. If you’re shocked by the power imbalance in the fictional representation, that’s probably because the imbalance of power in hospital wards is shocking in real life! In places like Cedar, the staff hold all the power because they have to. If they didn’t, the patients might be in danger. But one difficulty is, sometimes hospitals aren’t well managed, and you do sometimes get people going into care work for the wrong reasons. There’s sometimes not enough redress when power gets misused. Look at the recent scandal at Winterbourne View, for example – where the nursing assistants were beating up and abusing the residents for years, and even though the abuse had been reported, it continued to go on. This massive power imbalance, unchecked, is a fertile breeding ground for abuse on a systemic level. I hope that people will see that, and be shocked by it. One of my hopes was to let readers see ‘inside’ a locked ward – so that people who have never been in a hospital, can see what they’re like. That’s an important thing fiction can do – it can show people the truth. I’m really fascinated by what I term writers’ ‘pre writing strategies’ – how writers might make use of mind maps, plot charts, index cards, that kind of thing. Did you have a specific planning process before and during the writing of your novel? If you did, how does/did that differ from the experience of writing short stories? I did not have a very good plan at the start. The first thing I did was spend a long time thinking about the characters. I spent ages on that, and wrote out very detailed sketches of about eight central and secondary characters in the novel – and then I thought about their relationships with one another. At the same time I was clipping out stories from the local and national news – out of a sort of morbid interest about how the media reports on stories relating to mental illness. It was hard to get started, partly because the ideas I wanted to communicate were so complex. After a while, I started to feel a bit like the preparatory work I was doing – the character planning, the drawing of diagrams, the collecting of things – were all a sort of elaborate procrastination method. So after a while I just started writing it, and I wasn’t really sure at that point how the novel would be structured. It was only as I started writing, and redrafting, that the structure of the novel became clear to me. Everything about writing it was difficult, and the redrafts especially so. There are so many ideas in it, and yet everything needed to fit into a compelling narrative. So I had loads of sticky notes and spreadsheets, and notes to myself in a notebook. As I went through and rewrote, I was keeping track of errors in the narrative, and holes that needed to be fixed. The whole thing was very complicated for quite a long time. The biggest difference between writing Brick Mother and writing short stories, is the scale of it all. In a short story, the initial idea is the plan. You can write the skeleton of it in a week, and that skeleton might never change shape, not really. A short story is much easier to reign in and keep track of. Brick Mother contains a number of different voices. Can you tell us about how you managed this technically? Did you write one at a time? What were your strategies for keeping them separate? The early drafts, I wrote linear-fashion. Taking over voice from voice as I went through the story. In the redrafts, I rewrote voice by voice. So I’d do all of Neriste’s sections together, then all of Donna’s, then all of Barney’s, to get the consistency. Then I’d go through the whole thing again from beginning to end, to fix all the holes, and to check things like timeframes and events matched up, chapter by chapter. I had clear ideas of what each voice would be like, and it was dictated by character. So Neriste is all rooted in the visual – because of her background as an art therapist. With Donna, it’s much more matter of fact. And Barney isn’t always very ‘present’ in the moment – when he’s supposed to be paying attention to one thing, he’ll get interested in some tiny, and not very relevant detail, like filling in a crossword. He’s off on a tangent half the time. What’s been your experience of the business of bringing out a book – by which I mean all the necessary admin and marketing that goes with it? I’ve been lucky in that my publishers are very supportive, and have organised a lot of things I couldn’t have set up myself. My editor (Nathan Connolly) has been great. We’ve had two book parties for the launch now, and there are other appearances and interviews lined up. It has been a very good experience, and I’m glad that it hasn’t fallen to me to organise everything, because I’d rather not be taken away from my writing, if at all possible. 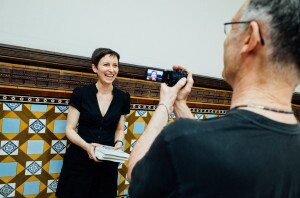 That said, there has been quite a bit of admin involved from my side – like, making sure I tell people when the book launch is, asking book bloggers for reviews, all that sort of thing. Marketing is not my best strength, and I’m glad to have had a lot of support and encouragement from a lot of the people I’ve approached, and that has been wonderful. How did you keep yourself motivated through the writing of the novel? Well, getting short stories published along the way helped. It made me think that if editors believed enough in my short fiction to want to publish it, some day some editor might think the same thing about a novel. So that helped me keep on chipping away at it. As well as that, I had a lot of faith in it as an idea. And I can be tremendously bloody-minded. That helped a lot. Have you ever been tempted to write in a form other than fiction? If so, what? And if not, why? No, not really. I like writing fiction, I don’t really like writing criticism or articles. If I’m at my desk, I want to be writing stories. I know that you’re planning a collection of short stories. Is that your next project or is there another novel brewing? Yes! I’ve been working on a collection for ages. I keep stopping and starting, but it gets closer and closer to being finished all the time. I won’t even say when I hope to have it finished, because the date keeps shifting. But when that’s done, I’ll start work on another novel. Something that’s still about human fallibility, but with a different feel to Brick Mother – something that’s more like a fairy tale, much less realist. I’ve got it all planned out already! Where we can get hold of Brick Mother? Anywhere! You can buy it direct from Dead Ink, or you can buy it on Amazon as an eBook. It’s available digitally and in print, and you should be able to order it into any bookshop you desire.